Tonight The Whisky Boys are going to taste Bowmore’s latest batch of their wonderful Tempest. Master Blender, Rachel Barrie has once again pulled another great dram out of the bag. T his fine dram has slept in the finest of first fill bourbon barrels in Vault No. 1 for 10 years. Founded over two centuries ago in 1779, Bowmore is the first recorded distillery on Islay (pronounced ‘eye-la’) and one of the oldest in the whole of Scotland. 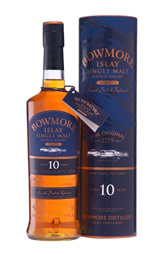 Islay Malts are renowned for their peaty smokiness and Bowmore is no exception. Bowmore carefully smoke their Malt in a peat-fired kiln, just as their ancestors did over 200 years ago. Let’s open our bottle and have a wee tasting. Bowmore – Tempest Small Batch Release V, 10 Year Old. Islay Single Malt Scotch Whisky, Non Chill Filtered, 55.9% Alc/vol 70 cl. Nose…Sweet soft fruits, squeezed fresh limes, salty sea shore, a slight whiff of Islay smoke, cracked black pepper crackers. Taste…Gentle peat washes over the palate, bucket of sweet vanilla, smooth and rich chocolate,mandarin and lime jelly, sweet and salty popcorn, spray from a Loch Indaal wave. Finish…Oaky and salty, citrus layer, long and lingering peat smoke, quite warming. This exceptional dram has been available since May this year at a very affordable price of only £46.99. 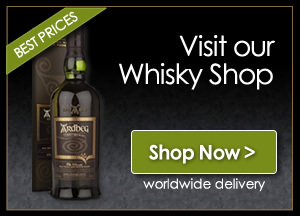 For this quality of a warming slightly smoky Islay Single Malt at Cask strength is a steal. BIG WELL DONE to Rachel and her team at Bowmore for this finest of Islay Whiskies.